Candace Johnson is a Professor of Political Science at the University of Guelph. Her areas of expertise include maternal health, reproductive rights, women and gender and politics, human rights and justice, Latin America. 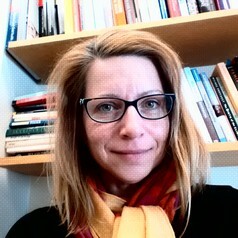 Her current research projects include an examination of global maternal health initiatives in Guatemala and a book (forthcoming with University of Toronto Press) on Human and Environmental Justice in Guatemala (co-edited with Stephen Henighan).